Cedar Park Therapist: Chris Kingsbury - Therapist 78613. Hi! I am so glad you found me. I am a compassionate, experienced and dedicated therapist committed to helping others who are struggling with a variety of life concerns and issues, who are not experiencing life as fully as they would like. My practice is focused on helping couples, individuals and families heal issues, grow and build foundations and communication, all toward improving their live, building the life they want and enjoying the relationships they deserve. I enjoy serving couples, single adults, men, women and adolescent males. I am licensed by the State of Texas as a Professional Counselor and Marriage and Family Therapy Associate; I am also certified by the National Board of Certified Counselors, trained in Intimacy Therapy and certified in Prepare-Enrich for premarital and marital counseling to help couples build a solid foundation for their marriages. 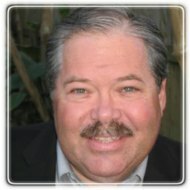 I am experienced in relationship counseling with emphasis on helping clients heal unresolved childhood issues, couples desiring to build deeper relationships, those in career and life transitions, and those dealing with anxiety, fear, stress, depression, anger, self-esteem, loss and grief and other issues. I also enjoy helping clients deepen their relationship with God and to explore spiritual issues. I have much life experience and have been through several life and career/job transitions. I earned a Masters of Arts in Professional Counseling from Texas Stated University-San Marcos with a specialization in Marriage and Family Counseling. I previously earned a BS degree in Biomedical Engineering from the University of Iowa and an MBA from Pepperdine University, and have more than 26 years experience in the business arena, before being called into counseling. I am married for 40+ years, have 3 children and five grandchildren. Yea! Together my wife, family and I have been through and weathered may significant life challenges. I learned I am not perfect, but am enough" and strive to help clients feel the same. I deeply understand, care and want to help. Call me and let's chat. New clients and referrals are welcome.